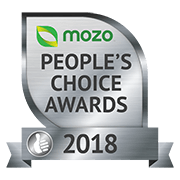 Read the latest credit card reviews from the Mozo community. Thousands of Australians have reviewed their credit card provider to give you the low down on everything from rewards programs to the best balance transfer deals. Always great customer service. Being with Westpac for over 20 years, I feel a strong sense of trust and familiarity. However I dislike the fact that I’ve in no way been rewarded for being a long term customer. I have been with Commonwealth Bank for 18 years now and they are the best bank to be with. This bank plays games with their customers lives. They are unfair, unethical and unworthy of our money. Very confident with ANZ bank. I like the support, time and effort that the staff provide, supplying information and answering questions in a friendly and pleasant manner. I found that the Bank may have over-reacted to the possibility of fraud. They sometimes queried small payments of $1 or $2, and closed the account until I had responded. On the other hand they did not want me to be caught out with scams, and helped out with thorough investigation and repayment when fraud was involved. This intense support was never judge-mental or patronising. Instead it was very encouraging. The staff at Commonwealth Bank are really helpful. They are fantastic. I am totally happy. They have a habit of closing down outlying banks with no thought of the members. This leaves customers with a lack of accessible services. I am vert happy with ANZ. Slow customer service. Takes a while. Otherwise good employees. Needs better pricing and free bank cards. IVR is a bit complicated. Also needs cashless withdrawal. National Australia Bank is solid. I believe it should be a nil charge on your credit card if you put everything on one card and pay it all back within the 54 day period. The debit card and bank statements are updated regularly which means I do not have to collect receipts. Recently, I had my debit card stolen and St.George blocked the card as soon as the thief tried to use it. Replacing the card was also straightforward. My bank does everything I need. Very easy to be vigilante and deal with any tempts are hacking your card. The staff are very courteous. Professional all the way. Everything is absolutely wonderful. Could not be happier. Good and fast service. Rates could be a lot more competitive. Very nice people working there, the staff at my local branch are so friendly! Everything is amazing except for the interest rate on the card. The rate could definitely be lower. Also more features would be nice. Overall great credit card. The interest rates could be a bit lower though. Have been with them for years.